We are about diabetes awareness & changing lives! Today’s ride consists of three courses around the Sutter Buttes -- the Century, Classic, & Fun rides. The Fun Ride is an easy course that is great for families and beginners athat are looking for a nice ride through the country as you follow Pass Road right through the Buttes. There is one rest stop for this ride at the half way marker. 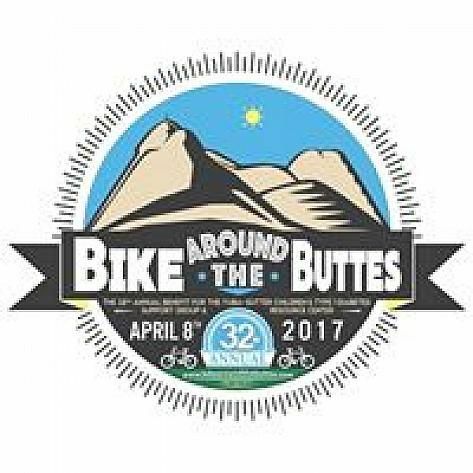 The Classic course is designed for a more seasoned rider, looking for a fun and slightly challenging, beautiful ride around the buttes. Following the old stage coach route from Colusa to Sutter, this course takes you along Pass Road, this ride offers beautiful vistas of the Buttes all along your journey. There are three rest stops along the way fully stocked to help keep you going. The Century course is designed for the avid, experienced rider. It is comprised of a 60 mile and 40 mile loop with five rest stops along the way. Enjoy a tour of the best views Meridian has to offer, ride along the Sacramento River, then take in all the beautiful views of the 40 mile ride to round out your experience. There is a complementary 5 minute after ride massage included with this ride, as well as specialty energy sustaining foods such as GU Gel at our rest stops. Our ride comes with rest stops along the way, support and gear vehicles in case of emergency, and includes a BBQ lunch and live music after the ride. The ride benefits the Yuba-Sutter Children's Type 1 Diabetes Support Group.